At Footsteps Through Africa, we run our tours seasonally, ensuring the best possible conditions in our chosen destinations. 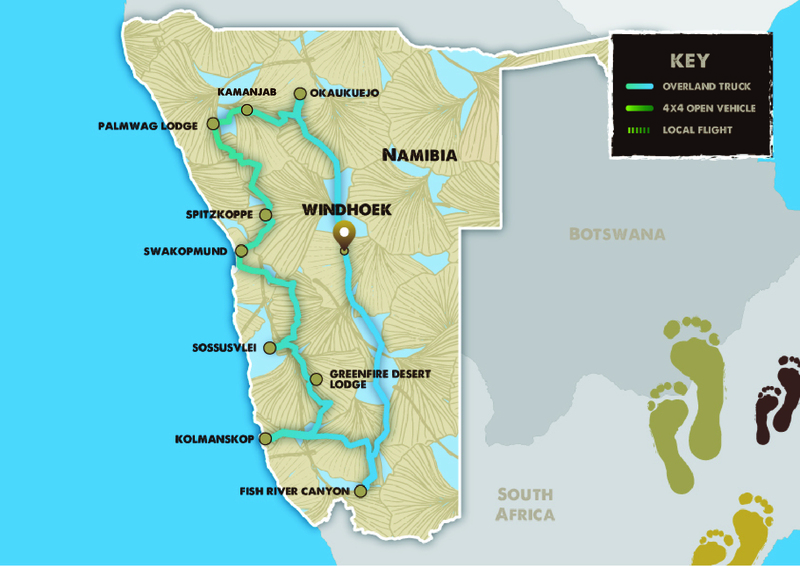 Our Namibia tour departs august and October – Avoiding the icy cold desert in mid-winter, but before the summer heat arrives. This time of year also has good water levels in the national parks, attracting the wildlife to the well located waterholes. 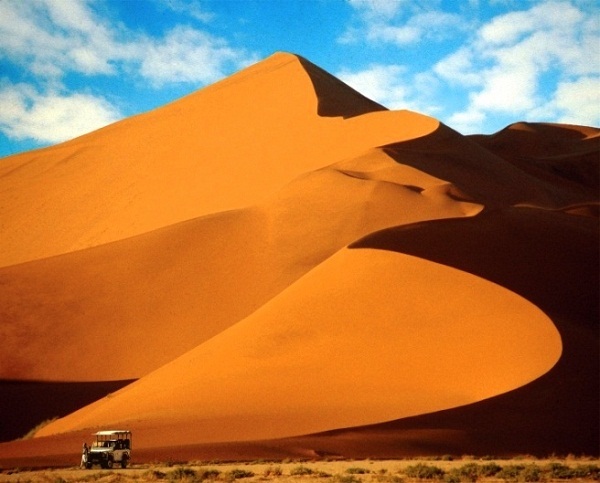 Boasting the world’s most ancient desert, Namibia is considered unmatched in its raw, natural beauty. From the rolling red sand dunes of the Namib extending inland from the cold Atlantic ocean, to the uninhabitable rubble of Ais-Ais, whose spiny mountains create the outline of the world’s second largest canyon: the Fish River. 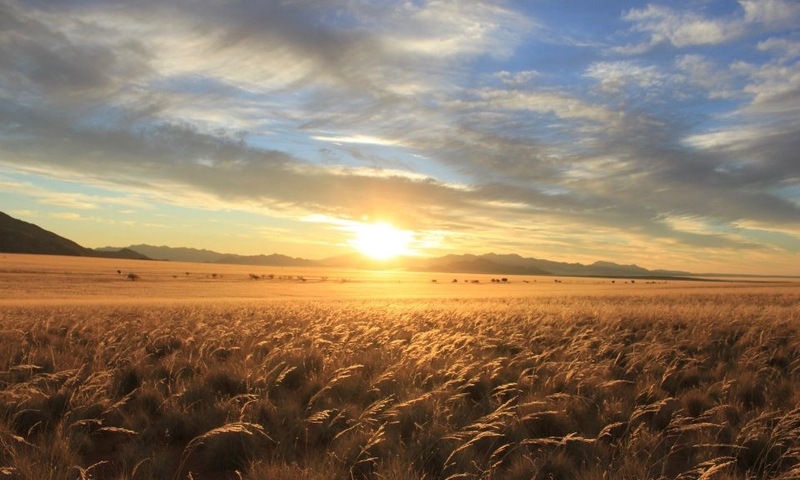 This land is also home to the endless golden grass plains of the Kalahari and the jewel-toned wetland of the Caprivi Strip in the north, which leads us to wonder if there is indeed an iconic African landscape that Namibia does not possess. As if this isn’t enough, the rare desert elephant ambles along Namibia’s dry riverbeds, and the critically endangered black rhino dwells in the country’s northern Damaraland. 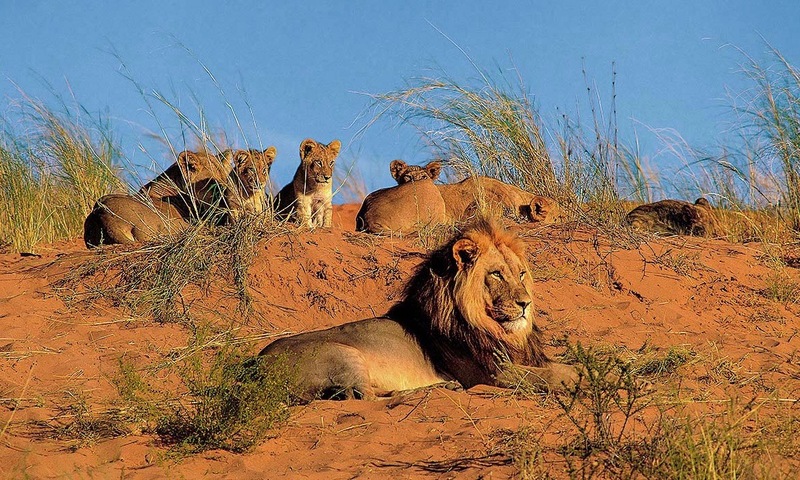 Namibia is one of the continent’s most exciting destinations, and it is one not to be missed. 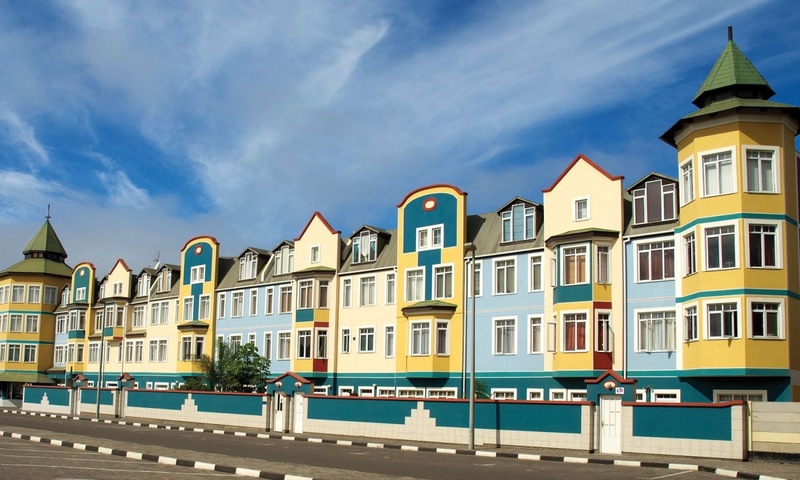 Spend 2 days in the quaint German town of Swakopmund – some downtime before the adventure continues! View this amazing desert phenomenon where the 700m high granite rock features tower over the barren land bellow. Namibia’s top Wildlife destination and home to the giant desert elephants – Etosha. Here we will spend 3 nights. And the adventure begins! 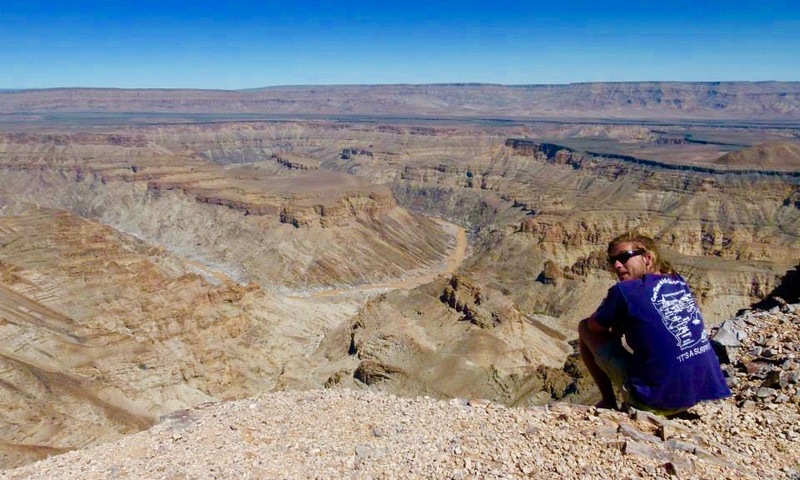 Today we start our journey south to one of Namibia’s greatest marvels, the Fish River Canyon. After a relatively long day on the road, we will arrive at the canyon in the late afternoon with plenty of time to set up camp and enjoy our first Namibian sunset. We will visit the canyon’s view points in the morning. After a mind-defining morning gazing into the enormous ravine that is Africa’s largest canyon from various scenic view points, we will start making our way further North to the spectacular ghost town of Kolmanskop, a once wealthy diamond mining village that was abandoned a century ago, left for the desert to engulf. We will spend the afternoon exploring this buried town. Today we will start making our way into the heart of the ancient Namib Desert, where we will spend two nights in a magnificent private game reserve surrounded by towering red sand dunes, granite outcrops, and shimmering grass plains. 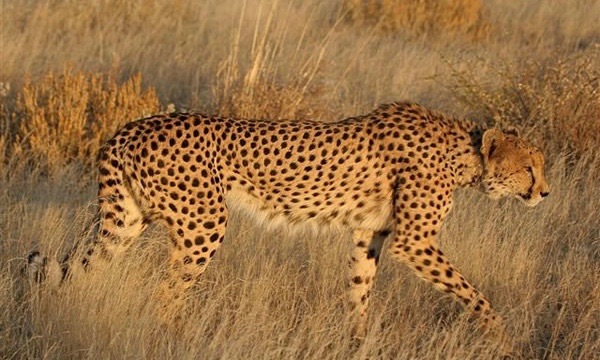 During our time here, we will experience the desert both on foot and in a 4×4, as our guides conduct walking safaris and game drives in the protected Namib Naukluft National Park. During leisure time between activities, enjoy the refreshing swimming pool, which is interestingly built into a large granite rock, or switch off completely and indulge in a classic afternoon siesta. We’re up with an early start this morning, as we begin our short journey to Namibia’s most famous natural area: Sossusvlei. 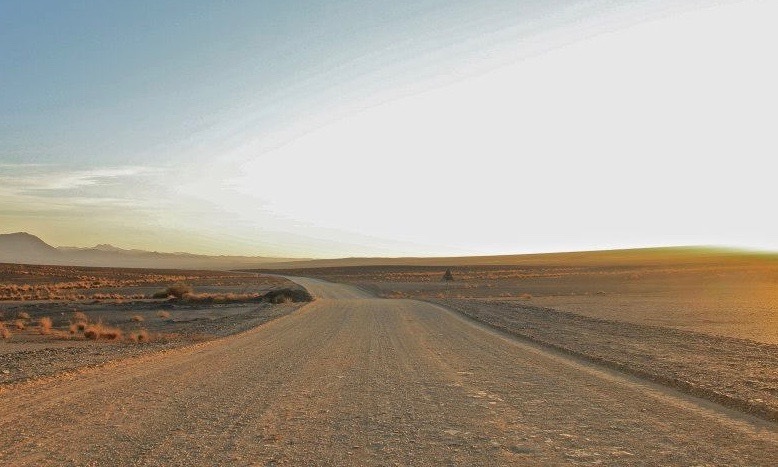 If you’ve ever seen a Namibian postcard, you will recognise this incredible feature of the ancient Namib Desert. 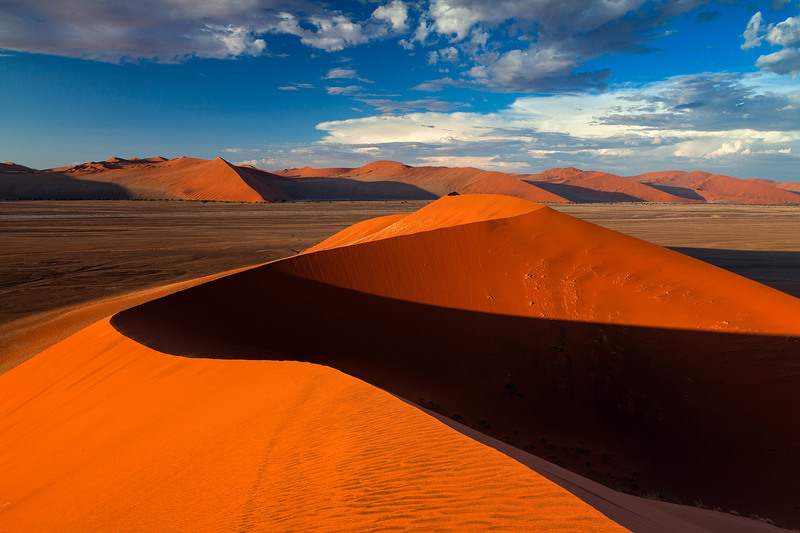 The lava-like red sand dunes are unforgettable in their unique appearance, and breath-taking in their entirety. 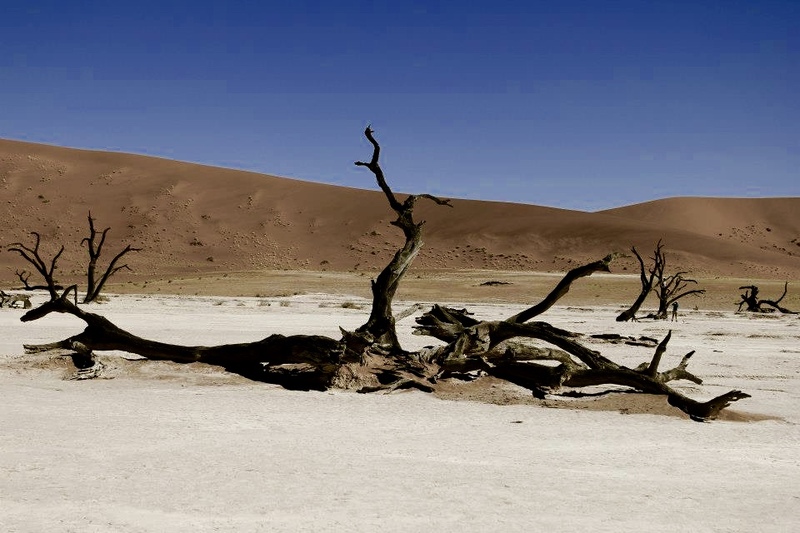 We will spend our morning taking a short walk over some of these dunes to admire and walk among the perfect dead tree valleys of Sossusvlei – also known as Dead Vlei. 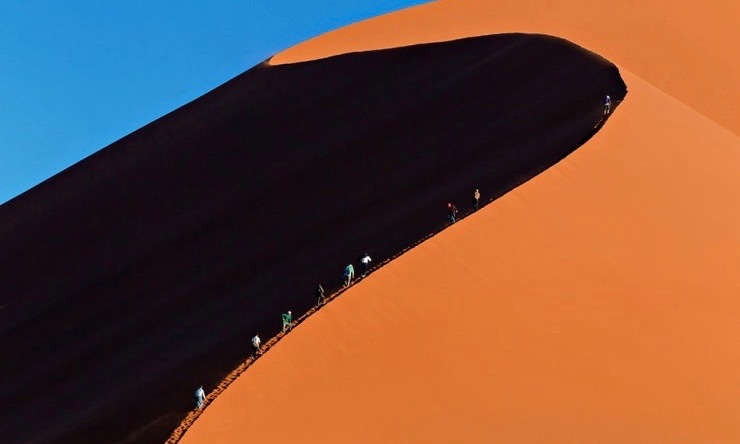 And for those brave enough, attempt to summit the world’s highest sand dune standing at 308m high, affectionately known as ‘Big Daddy’. After a well deserved lunch, we will visit the winding valley of Sesriem Canyon. Today, we enjoy a relaxed start before embarking on our drive through the boundless desert to the quaint German town of Swakopmund. We will arrive just after lunch where comfort awaits at a lodge in the town’s centre. Our time in Swakop is spent at leisure, and with a variety of exciting adrenalin activities on offer, plenty of seaside restaurants to enjoy, and old German architecture to admire, you’ll be kept busy. Some of the popular optional activities in Swakopmund include quad biking in the dunes, ocean safaris, and sky diving for a bird’s eye view of the desert meeting the sea. 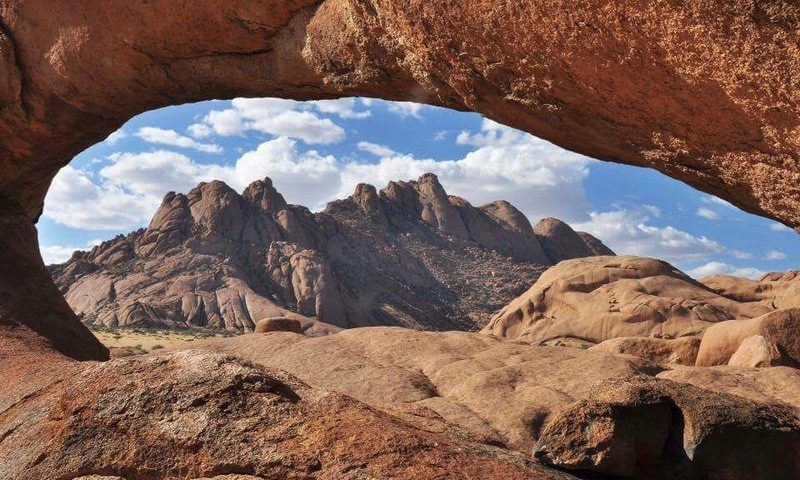 Leaving the town behind, we head North up the skeleton coast towards one of Namibia’s most recognisable landmarks, the 1728m-high Spitzkoppe, rising mirage-like above the bare plains of southern Damaraland. En route, will will stop off at the Cape Cross seal colony, one of the largest colonies of Cape fur seal in the world, where we will enjoy a quick lunch listening the sounds of the whaling seals being drowned out by the crashing Indian Ocean against the unforgiving Skeleton Coastline.After lunch, we will head to ourluxurious lodge for the night at Spitzkoppe where you will have a chance to climb to the famous Spitzkoppe Arch for sunset. Today we journey further north, deeper into the heart of Damaraland – also known as the ‘stone desert’ – and this is where our wildlife experience really begins. Here, we will be camping at Palmwag Lodge & campsite, which is like an oasis in the seemingly harsh surroundings of the wild Torra Conservancy. 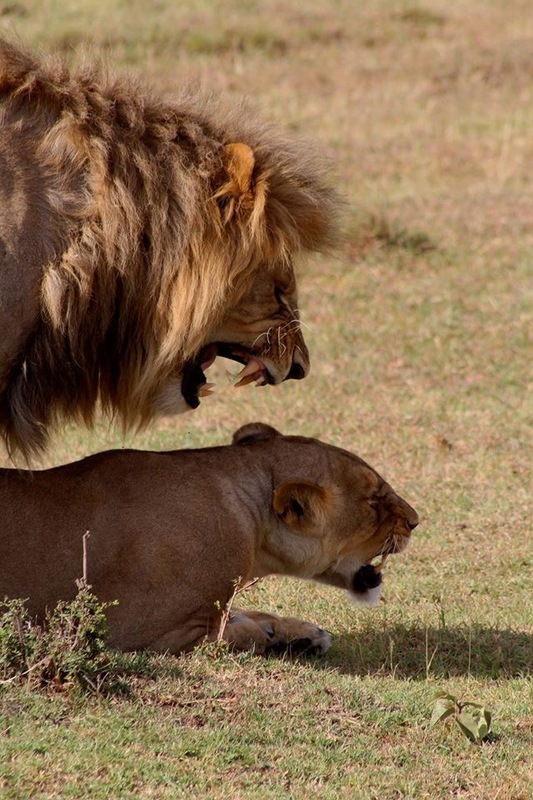 Game drives, scenic sundowners, and guided walks among big game, including black rhino, lion, oryx, springbok, jackal, leopard, giraffe, and mountain zebra. Today we start our journey East, towards the famous Etosha National park, with a stop over for 1 night in Kamanjab where we will spend the night neighboring a Himba village. 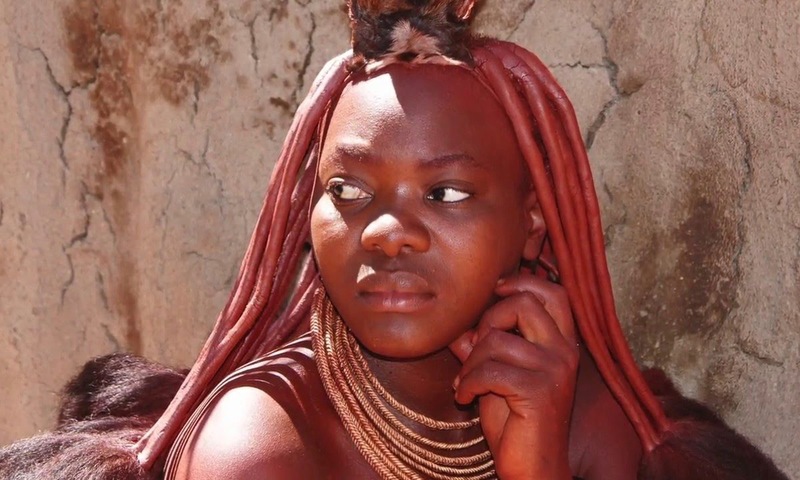 Here, you will have the opportunity to learn more about the nomadic lifestyle and culture of the Himba people native to the area. 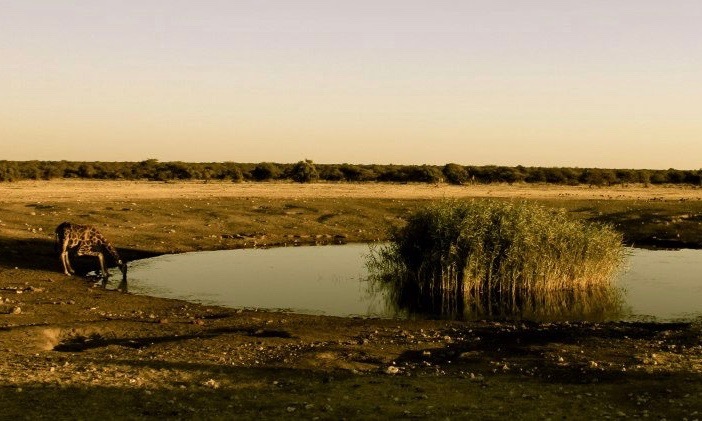 Etosha National Park is one of the world’s great protected areas, famous for its enormous ‘white’ elephants, frenzied waterhole activity, black rhino feeding on euphorbia bushes, and great salt flats shimmering in a state of mirage. 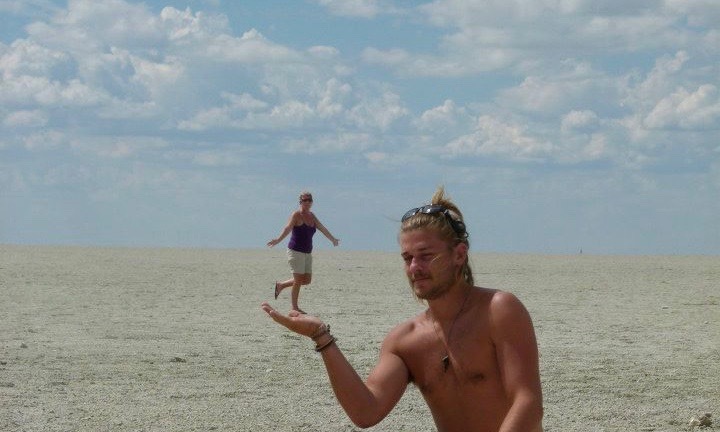 Etosha’s charm lies in its ability to bring the animals to you. Parking up at one of its many waterholes, we can sit and watch as hosts of animals gather in diverse groups. This is going to be the scenery for the next three nights of the tour. 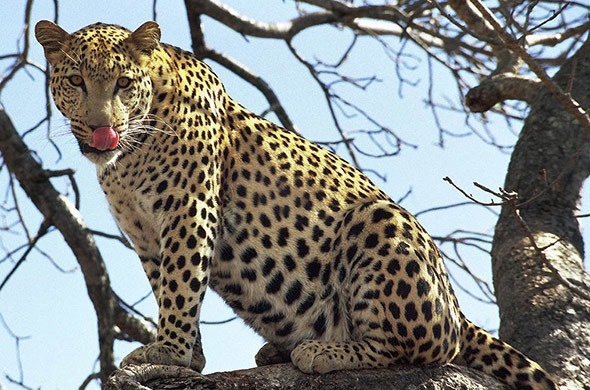 Today, we arrive at our campsite around lunchtime, enjoy a bite to eat, and embark on our first game drive in the park. This morning we will rise with the sun, grab a quick coffee and head out for our early morning game drive. 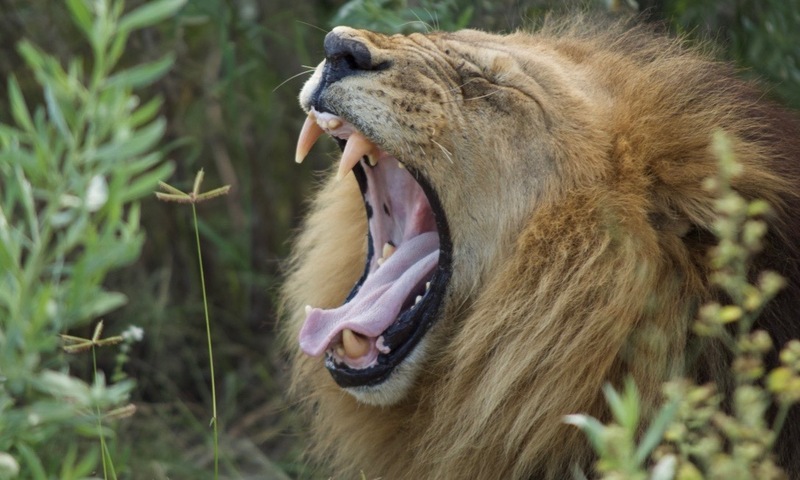 After a few hours of exploring the park we will return back to the rest camp for a hearty brunch and a relaxing siesta before heading on a lengthly evening game drive. It’s a full day of excitement ahead, as our full day safari takes us across Etosha from Okaukuejo to the far eastern corner at Namutoni. 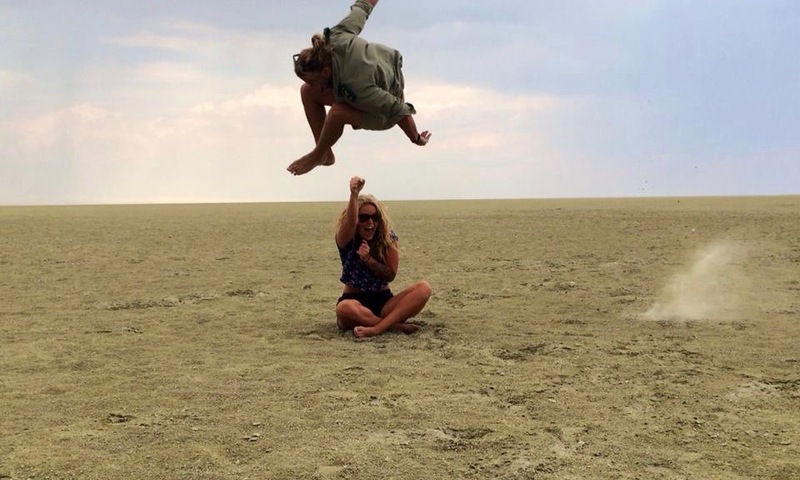 En route, we will stop at the inimitable Etosha salt pan, which, at around 4500km squared, is a vision of pure white. It offers views and photographic opportunities not easily beaten or forgotten. Take it in – this is something extraordinary. By the early evening, we will have arrived at our campsite in time to enjoy the abundant wilderness of the iconic Namibia for the last time. 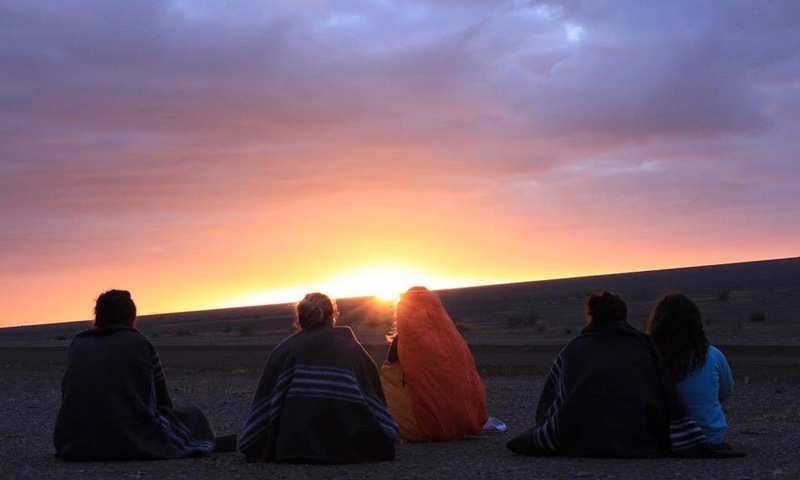 Our final day dawns with a mixture of emotions as we prepare to bid farewell to what has been a journey of discovery and understanding in a place like nowhere else in the world. We get off to an early start as we begin a long drive to Windhoek where the tour comes to an end.